Guest post from Jessica Carlson, a social media manager at Off Madison Ave who specializes in building social communities that create brand loyalists and garner key insights. 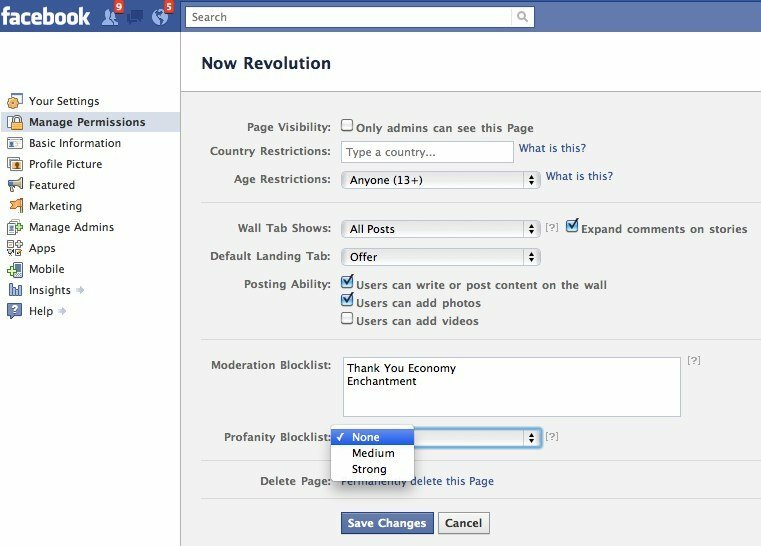 While the profanity filter aspect comes as a welcome addition to Facebook Page functionality, the Moderation Blocklist presents the potential for backlash and missed opportunities. If Chipotle has their filter up, they’re missing out on this customer’s social advocacy. Sure, Chipotle can (and presumably would) monitor the Hidden Posts and unhide the mentions that despite including competitors, actually tell a positive brand story, but it creates a moderated and asynchronous atmosphere on the page.It’s also deceiving, as the customer will think their Wall post is public, but may eventually notice that no one from the community has responded. It may make it appear that your company is running from criticism, or is trying to censor anything that could potentially be a threat to it’s image. Filtering for keywords might help keep the overall tone positive, but doesn’t that fly in the face of social media in general? All information is good information, even if it’s less than flattering. By allowing customers to sound off, you give your company a chance to right a wrong. 1. Set a filter for topics that are irrelevant to your organization. For example, state tourism departments could moderate keywords and phrases that relate to the state’s political happenings that aren’t relevant to their organization. 2. Keep the bullies quiet. Every once in awhile certain users will try to provoke others with personal attacks. Page administrators can use the Moderation Blocklist to hide these unsightly remarks by using keywords and phrases that would likely signify someone bullying a community member. 3. Use it for any new offensive slang terms that aren’t picked up by the profanity filter. With brands that target younger audiences, Urban Dictionary has likely become their new best friend. If you notice a certain inappropriate slang term that’s getting missed by the profanity filter, use the moderating tool instead. 4. Turn it on when your organization’s unnecessarily under fire. While “unnecessarily” can be rather objective, there are going to be certain organizations that can’t really change their beliefs or business practices due to one group’s criticisms. 5. Remember that it’s not completely hidden. 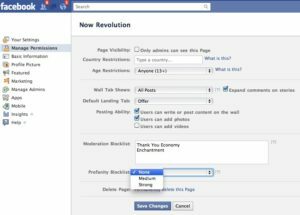 Currently, when users post to the Wall or leave a comment and use words or phrases that are listed on the Moderation Blocklist, the user and their Facebook friends will still be able to see the post or comment – just not the rest of the community. Check your hidden posts on a regular basis to remove posts that truly do not belong on the Page. Want more great content like this? A weekly dose of the trends and insights you need to keep you ON top, from Jay Baer at Convince & Convert. In each week’s email, Jay will recap what happened in digital, what trends are important for marketers to watch, plus some fun surprises that you’ll just have to sign up to see!